Easter is right around the corner, and it’s time to start thinking about spring cleaning. It’s important to plan ahead and make sure your home looks nice and neat so you’ll make a good impression. 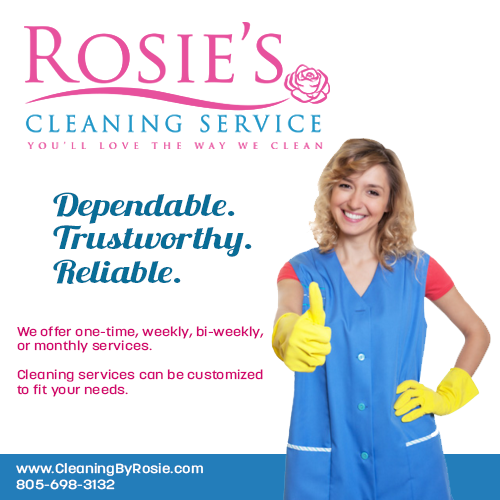 Rosie’s cleaning can help! Is March named March because time marches on? Probably not, but there’s one thing for sure: you probably haven’t even started thinking about spring cleaning yet! Oh, wait; you have? Well, good for you then! But for the rest of us who haven’t, here’s a checklist of things to get cleaned as winter recedes and the sun comes out. Spring cleaning is a great way to get little projects and cleaning things done that you may have neglected, or procrastinated. The momentum of the year’s starting over again isn’t something that should be wasted! Sometimes cleaning isn’t just about a residence, but an entire facility—though it’s up to you whether or not you hire a cleaning service. That said, before this list is presented, a quick strategy of approach will be outlined. A lot of times it makes sense to categorize your cleaning endeavors so that you can focus all energies on one spot, and not get overwhelmed by the whole task. Of course you can always hire a maid—some of the best Santa Barbara Maids around have multiple specializations, and sometimes it’s not a matter of your own personal cleaning preferences, but one of realism. 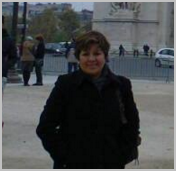 For example: office cleaning in Santa Barbara is probably going to require a Santa Barbara cleaning company. The time and effort involved doing this on your own wouldn’t be good for the job, even if you did categorize things on a room-by-room basis. Better to have a Santa Barbara office cleaning group come in. House cleaning in Santa Barbara may be something you approach on your own, but then sometimes it’s not your house that needs cleaned. What about Grandma Nan? Doesn’t she deserve a clean home as well? But when will you ever get to it? If you do finally decide to hire a maid, remember that you’ll need to get a good cleaning service that provides a reasonable cleaning quote. Check all the lighting; do the fixtures need dusted? The walls probably need a washing. Re-configure that coat closet, clean it up; or if it’s not dirty, leave it be! But it probably needs a wash.
Don’t forget to sweep and mop! Sometimes rubber door seals need to be replaced or fixed; sometimes grout needs an upgrade too. Get some of that spring air in the house with windows unlatched and open to the breeze. Take all the items from atop the furniture and give it a good dusting. If there are any drawers, clean ’em out by removing all items and applying a thorough scrub. Like the entryway, you’re going to want to empty the closets and give ’em a deep clean. What’s under that bed, Narnia? Move the bed and sweep/mop/reorganize as necessary. How clean are your curtains? Better get them laundered. Pillows, sheets, and bedskirts should be washed and reconfigured. Don’t forget to dust the lights! Lampshades attract particles like a magnet. What do your windows look like? Do the sills need cleaned? Are there any bugs in the screens? Apply the same here that transfers from the bedroom. Open windows, clean walls, closets, etcetera. Are there drawers or cabinets? Empty them and scrub them down. 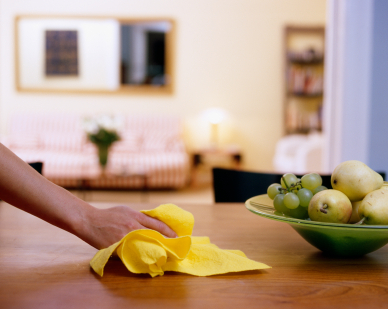 Wash any cabinetry or furniture, but be careful to use cleaning materials that aren’t damaging. Be sure to reseal around toilets and tubs; restrooms notoriously wear down the caulk. That tub needs cleaned, and the drain probably needs cleaned and cleared. Yes, the toilet needs a deep clean too; just hold your breath and it’ll be over soon. Sinks and drains get hair and gunk in them; don’t miss clearing them. Your mirror will have splatters and fingerprints too; get that thing shiny. Cabinets and drawers need unpacked and cleaned, inside and out. Cutting boards get dirty after a while; be sure they’ve been cleaned and sanitized. Knives will get dull, and it’s a pain! Sharpen them. Oh, that pantry. Throw out the garbage, clean and organize the rest—watch for expiration dates! The oven’s a nightmare too, but you can clean it! The stove-top has spill-over, do your best to make it look like new again. Yes, the refrigerator and the freezer need unpacked, cleaned, and repacked. While you’ve got the fridge empty, move it and clean beneath. Do the stove too, if you can. That microwave needs a scrubbing too. Have you ever cleaned the toaster? Well, this year’s the time to start! Counters need to be wiped and cleaned as well. It may seem counter-intuitive, but your dishwasher needs cleaning outside and in, too. Remember to clean the sink, disposal, and any appliances there. Also, do a drain flush. Don’t forget to sweep and mop floors. Screens, windows, and surrounding areas need cleaned. If there’s a porch or a walkway, winter’s left a mess that needs to be swept. Sometimes a new coat of paint really makes the porch stand out. How’s your welcome mat? Get that cleaned and replaced. Of course, the exterior siding on doors needs seen to like everywhere else. Mow the lawn, trim the bushes, hose everything off and get the toys put away if there are any. This is by no means a complete checklist, but it should help you get a start on this year’s spring cleaning. If you need a maid service in Santa Barbara or the nearby areas, be sure to check out our standard and deluxe cleaning services. Or let us do the after party cleaning work for your Easter Day celebration. We can even create a custom package just for you including laundry, ironing, dog sitting, party preparation, and serving food. Come enjoy this fun annual Easter Egg Hunt at Girsh Park. The event begins at 9:30am with registration for the hunt and the various activities. The hunt is at 11am sharp. Please make sure to arrive at the Park on time to park, register, and participate in the activities. The Easter bunny will make an appearance. There will also be bouncers, face painting and games. Bring a basket and come have some fun. This event is free to all, but donations will be accepted. 10:30 am – Baby Bunnies ages 0 to 4, 10:45 am – Daring Ducks ages 5 to 7,11:00 am – Jack Rabbits ages 8 and ups. Bounce House fun, Easter Bunny and More! Come to the softball field and enjoy a fun morning of candy filled egg hunting. Please bring your own basket. Parking costs $5. Egg hunting is free. Riverbench Winery is hosting a family friendly Easter Egg Hunt with prizes for everyone. Be sure to arrive on time as the hunts start promptly at 11am & 2pm. Kids will be awarded candies and chocolate bunnies. 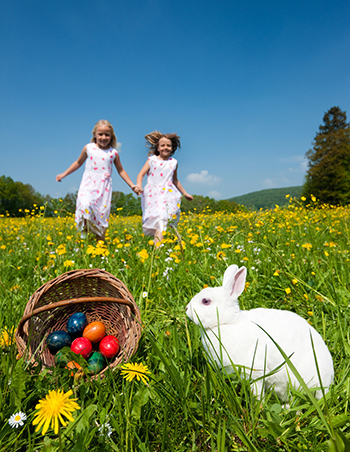 Egg hunting is for children age 9 and under. Cost: Included with $10 tasting fee or wine bottle purchase; free for members. Easter Bunny Express at South Coast Railroad Museum – Saturday March 26th from 11am to 4pm Come ride the “EBX Thunderbunny” or the “Lop-Ear Local.” (all train riders must meet 34-inch minimum-height requirement.) All tickets will be available at the museum on event day and online beforehand. It promises to be a hare-raising eggsperience for the whole family! Cost: $4 for train tickets. Easter Kayaking at Painted Cave, Channel Islands – Saturday March 26th, 7:30am check in @ Santa Barbara Harbor Explore North America’s largest sea cave! Located on Santa Cruz Island; the beautiful Painted Cave offers an amazing day trip. This all inclusive day trip departs out of the Santa Barbara Harbor aboard a splendid charter vessel complete with hot showers and bunks. Enjoy breakfast on the cruise to the island, once there groups will explore the cave in kayaks and have the opportunity to snorkel in Channel Islands National Marine Sanctuary. Hot lunch served on the return trip. Call for details.